Become a cheerleader: Aviator Allstars are looking for new athletes. 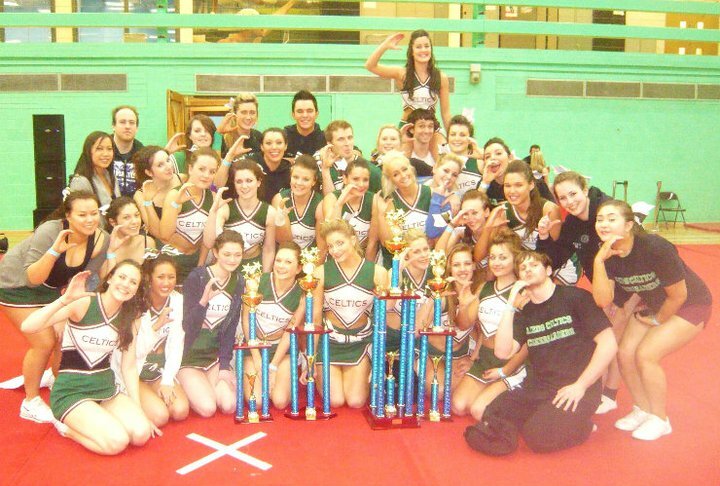 Aviator Allstars, one of Europe's Elite cheerleading programs, is opening it's doors and looking for new members to join for the upcoming 2011-2012 season.
" 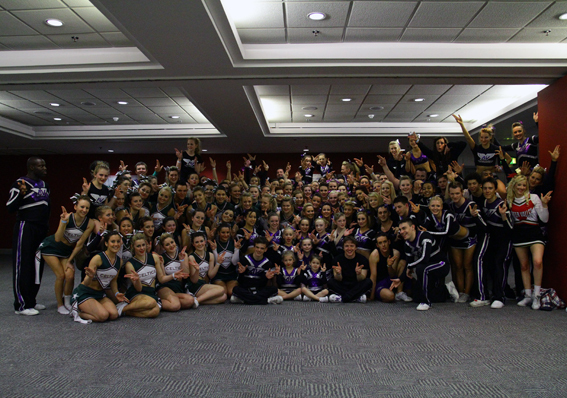 Advanced athletes, cheerleaders, and gymnasts interested in representing Britain at the World Championships in Orland, April 2012.
" Adventurous athletes looking to learn how to learn gymnastic flips.
" Gymnasts, tumblers, and trickers looking for a new medium to train and showcase their skills.
" Dancers looking to try a new, spectacular performance sport. Aviator Allstars have been selected to represent Britain at next year's world championships in Orlando, Florida in April 2012, and have places open for talented athletes from the age of 14 through to adults looking for once in a lifetime opportunity to represent their country against the top athletes in the world. For more information, please visit us on Facebook, sign up to our mailing list, email us at frontdesk@aviatorallstars.com, follow @AV_Allstars on Twitter, call us on 07800 859 916, or come to the gym (for address and info click here) for a taster session at the above times. If you have any questions, please get in touch. Otherwise, we're looking forward to seeing you at the gym soon! On June 19th 2011, six teams from the Aviator Allstars program headed to Liverpool's Echo Arena to compete at JAMfest Europe. The Program brought home 3 first places and the highest Cheer Score of the entire competition!